Valentine’s Day. The day of celebrating love, relationships, the occasional horror movie and ice cream binge, and my favorite: friendship. I know V-Day always gets a bit of a mixed bag when it comes to reputations. On one hand, what’s better than celebrating the joys of a loving relationship? On the other, it’s hard not to get a bit cynical about a day that puts so much commercial emphasis on relationship status. In recent years, I’ve been single, taken and a lovely grey area of “it’s complicated” on Valentine’s Day, but one thing is for sure every time February 14th rolls around, and that’s that I love celebrating my friendships: my closest girlfriends who always have my back, who lift me up and who inspire me to be a better person, every day. Those are the women I love to champion on Valentine’s Day. 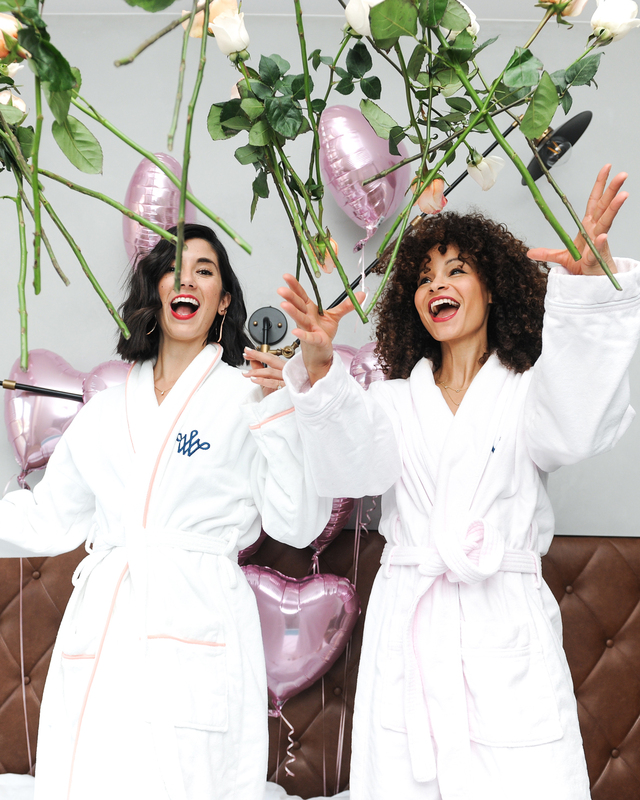 So in the spirit of celebrating ol’ St. Valentine (or St. Galentine in this case) and in partnership with L’Occitane to help announce their latest collection with Rifle Paper Co.: Mon Amour, I wanted to share my 10 best girlfriends with you (old ones and new ones alike! ), because I think you’ll fall in love with them just as much as I have. 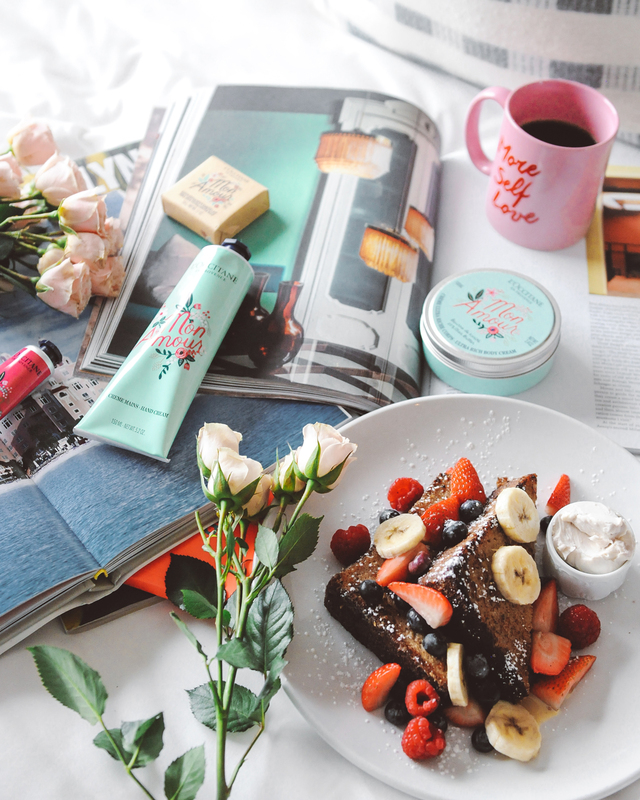 But first, let’s talk about these products and gift sets. 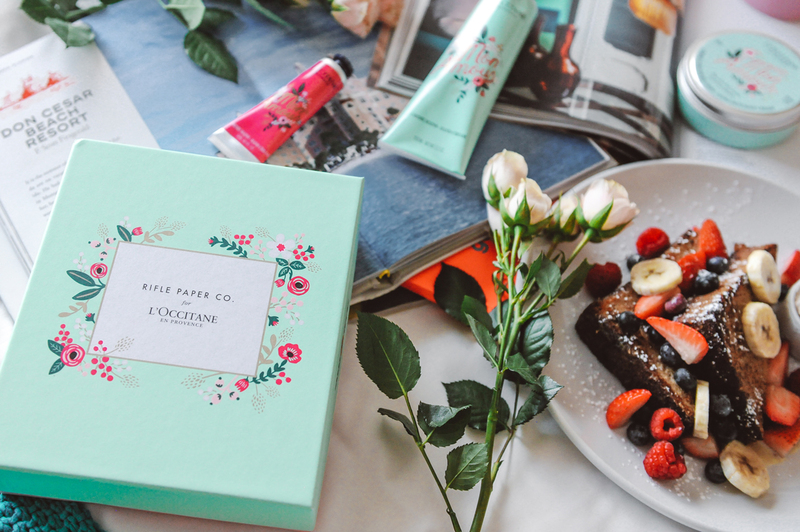 You all know how much I love L’Occitane’s full product range (and my love likely deepened after traveling to their home base of Provence last year), so when they announced they’d be partnering with Rifle Paper Co. to design limited-edition packaging that celebrates female empowerment, I was smitten. First of all, Rifle Paper Co. has been a stationery favorite for years (I used to stock up my desk at Google with their products all the time) and I’ve always loved the fact that they’re a woman-founded and owned business — fitting for celebrating our girlfriends today, no? These sets are so adorable and incredibly perfect for winter (dry hands anyone?)! Featuring the intensely nourishing Shea Butter, leaves and nuts, this whole line will whip your dry winter skin into shape. I’m absolutely in love with the hand cream and currently have different bags stocked with a L’Occitane tube — so I can banish my dry, scaly hands for good. As for those gal pals of mine? Let’s kick things off. Some of these ladies you may or may not be following already, but I hope there’s a few new faces for you to meet and crush on! Sai: She’s the gal you see in these photos here and she’s been such an inspiration this past year. While I’ve followed her for what feels like forever now, we only just really started hanging out this past year, and I’m so happy we have! I love her can-do attitude, her fierce loyalty and well, her kids are just too darn adorable!! Karen: Karen and I always joke we have the same brain — and literally, sometimes, I wonder if we really do! Our styles overlap in the uncanniest of ways and because of that, we’ve had more than our fair share of twinning moments. I admire Karen for her ability to find the silver lining in everything — she’s SO positive — and her creativity. I’m always in awe of her YouTube videos. Courtney: This lady needs no introduction. She’s bright. She’s colorful. And she’s just about the sweetest and most loyal person I know. If you’re not already following Courtney, I highly recommend you inject some pops of color into your feed, ASAP! Chinae: I believe Chinae has the phrase “Badassery” listed on her Instagram profile and I don’t think there’s a better way of describing her. I met her years ago on a panel we were both speaking on and I was instantly drawn to her vivacious energy and her relentless ability to believe in the good in other people. She’s also just launched a podcast, so tune in! Lydia: You all are probably used to seeing Lydia’s name around these parts, but perhaps you didn’t know how active she’s becoming in front of the camera, as opposed to behind? I just have to say, as a longtime friend and creative admirer, it’s been so fun watching Lydia flex those muscles of hers. Plus, girl is working it! Shooting exclusive plus size street style content for InStyle during Fashion Week for the second year in a row and I just couldn’t be more proud! 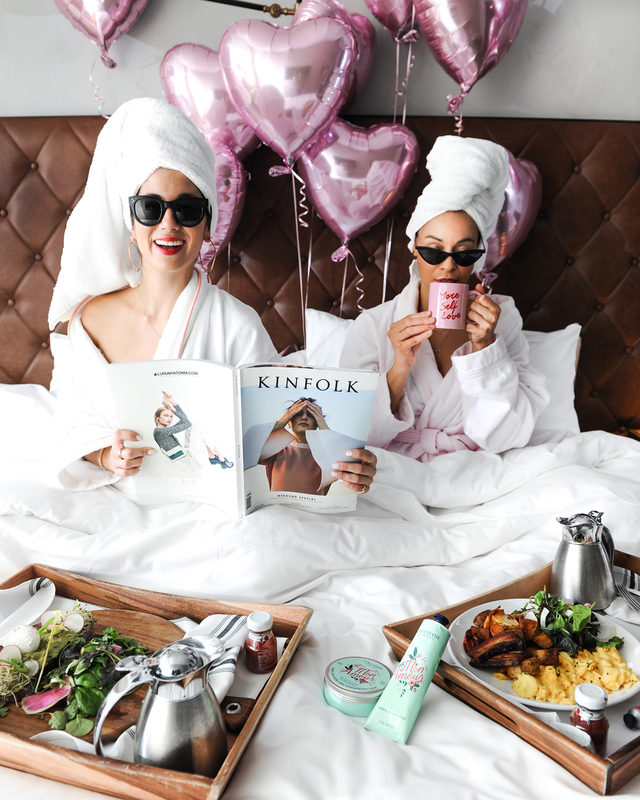 Kellie: If you recall from a few weeks ago, Kellie and I collaborated on this post — the result of a conversation we’d been having a lot lately, that being how inclusive this whole influencer industry really is. As always, I love her perspective on it and her mission to connect more style-minded people with each other (regardless of size, race, etc.) because style is style. Plain and simple. And Kellie’s style is KILLER. Do yourself a favor and check out her YouTube channel while you’re at it! Olivia: I admire Olivia a lot and also relate to her on a bunch of different levels. We both were working in tech when we decide to leave our corporate jobs to blog full time. She always has the best business advice and workwear tips so I highly recommend following her if you’re looking for corporate style inspiration! Grace: You all are likely VERY familiar with Grace — she’s another longtime friend whose drive inspires me daily and business advice I seek out often! I like to call her my relatable Gwyneth Paltrow — and she very much is! Heather: Perhaps one of my oldest friends when it comes to the timeline of this blog — she’s seen me through it all. We met years ago, as two Google employees, and soon after, became fast friends, traveling the world together, taking A LOT of photos together and generally rooting each other on, through all the life changes we’ve experience. Heather is currently living in London (jealous! ), still killing it at Google, and also has an insane fine jewelry line Show Road that is to die for. To say I’m proud of her would be an understatement. Who are some of your Amours? Tell me about them in the comments below! And, while you’re at it, be sure to check out L’Occitane now — they’re offering a free gift with every purchase + 20% off your next purchase! Offer valid through 2/14, simply enter the code KISS at checkout. 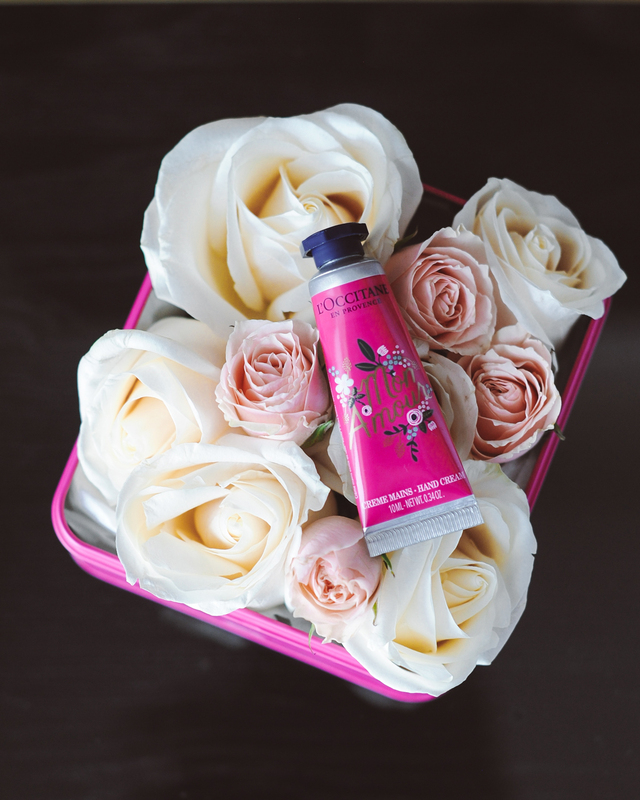 This post was in collaboration with L’Occitane. As always, all opinions and styling are my own. Thank you for supporting all This Time Tomorrow collaborations! Living and l'occitane, sponsored, women supporting women. Ah thank you for sharing! I basically followed everyone! And thank you for the diversity! Your photos are so fun and awesome!